One of six patents for sale together, all pertaining to indoor grow tents in use now across the USA for medical marijuana production where allowed & orchids. The US grow tent market is estimated to be 35 million per year at the wholesale level and now even Home Depot has entered the market. All four patents cover every single possible tent on the market now meaning that all grow tents are infringing upon these four patents. 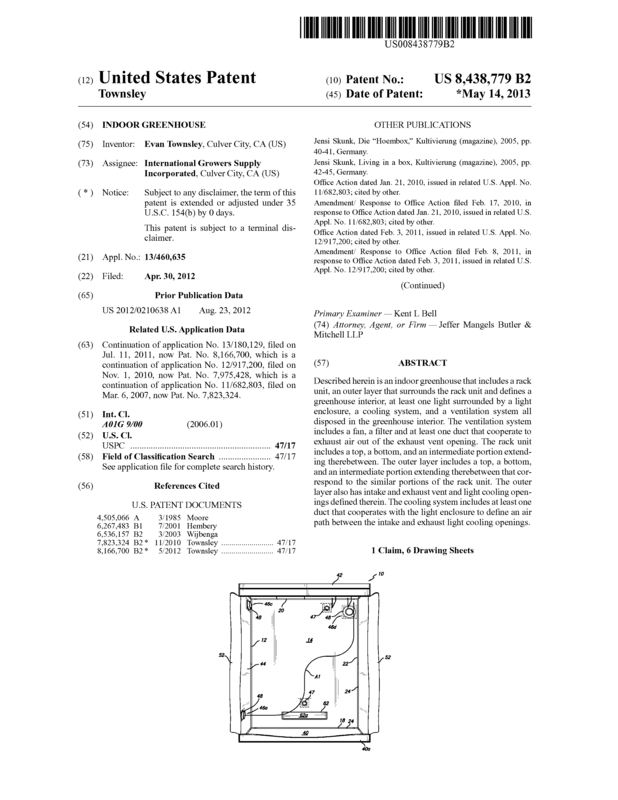 These patents corner the grow tent market and the USPTO has already upheld this first patent to be good after opposition from a party that was sued for infringement. Described herein is an indoor greenhouse that includes a rack unit, an outer layer that surrounds the rack unit and defines a greenhouse interior, at least one light surrounded by a light enclosure, a cooling system, and a ventilation system all disposed in the greenhouse interior. The ventilation system includes a fan, a filter and at least one duct that cooperate to exhaust air out of the exhaust vent opening. The rack unit includes a top, a bottom, and an intermediate portion extending therebetween. The outer layer includes a top, a bottom, and an intermediate portion extending therebetween that correspond to the similar portions of the rack unit. The outer layer also has intake and exhaust vent and light cooling openings defined therein. The cooling system includes at least one duct that cooperates with the light enclosure to define an air path between the intake and exhaust light cooling openings. The offer is available in two ways. 1) Outright purchase of all 4 US Patents & 1 Chinese patent & 1 Hong Kong Patent. 2) Purchase of all patents above & bring me in to oversee production of grow tents & other gardening items for on going business or publicly traded company in the medical marijuana field. 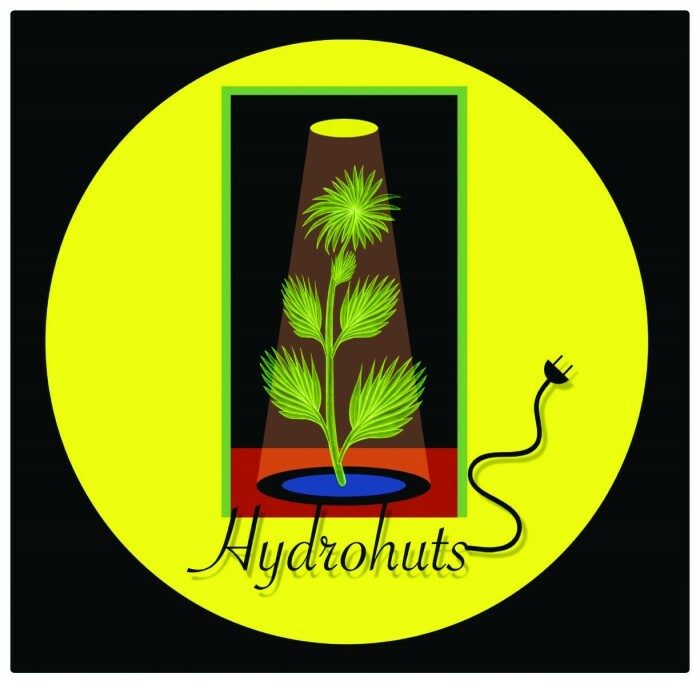 I have 20 years experience in the indoor gardening/Hydroponic field both on a retail level and as a manufacturer (Hydrohut, Phat Filter, plastics, electronics, etc.) who serviced all 3 major US wholesalers and myriad smaller wholesalers. I have been active in this field world wide, at the highest level with a proven track record. Details upon request. Grow tents have been selling at an increasing pace in the USA since 2007. In 2012, Home Depot even joined the market. Grow tents allow a grower to produce inside the tent which is located inside a home or other structure so the user doesn't have to build a grow room or greenhouse which is technically difficult and expensive. There are approximately 30 Chinese companies manufacturing and exporting grow tents into the USA and we estimate the wholesale market to be 35 million dollars per year at this time. The US patents listed above encompass the tent, separate air cooling system for the tent itself and also a separate air cooling system for a light needed to make anything grow inside of a tent. Without these air cooling options, nothing will grow in a hot tent. All tents currently being imported into the USA infringe upon these patents. 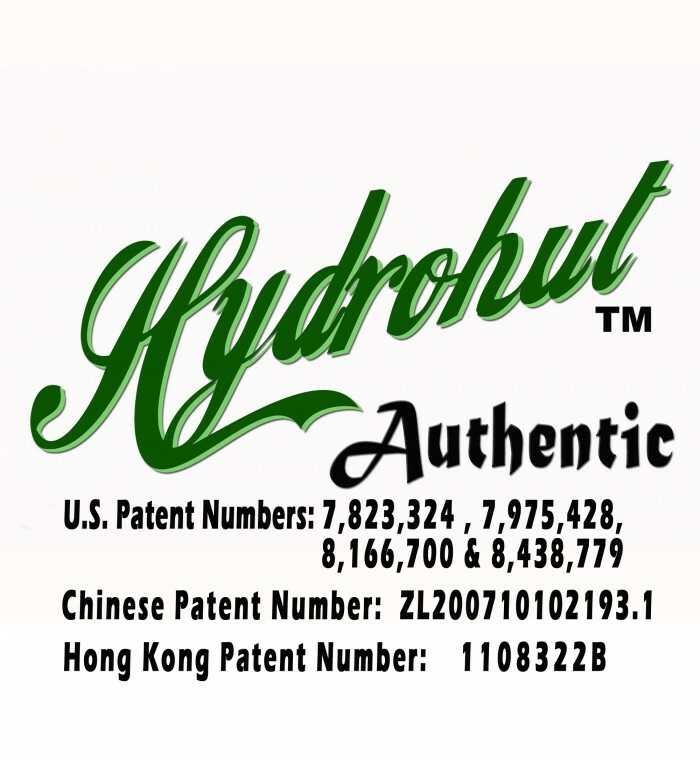 For the right company, owning these patents will allow the company to corner the grow tent market business in the USA. We have already successfully litigated against one company who challenged our first patent with the USPTO. 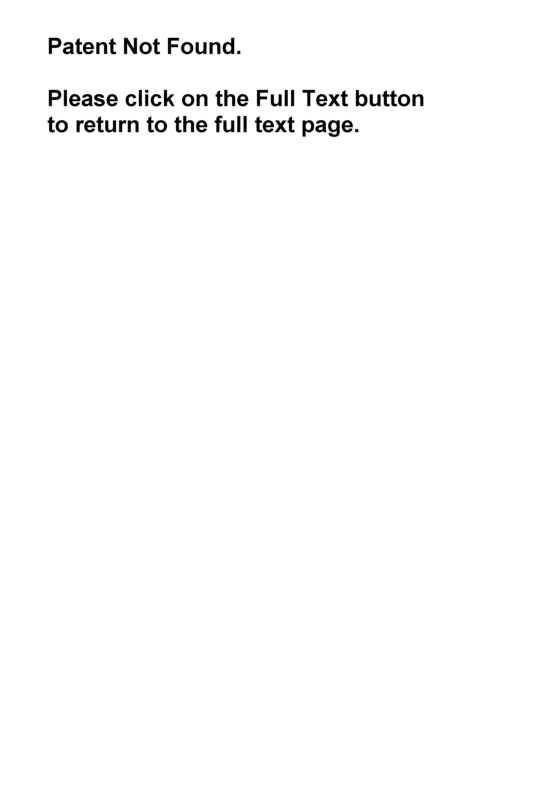 Page created at 2019-04-26 5:59:43, Patent Auction Time.